HOUSTON � Of all the pitching duels during the Pecos SPring League � and there were a number of good ones � the closing day�s between the Apollos and Vaqueros was probably the best. �It was an all-around good game. I think it was the best game of the entire league,� said Las Cruces manager Casey Dill. That�s pretty much the story. Apollo starter Brett Kinle and Vaquero Edison Alvarez both threw complete games, and though six innings, Kinle allowed only four hits on eight strikeouts and no walks and Alvarez five hits on 10 Ks and no walks. But in the top of the seventh, the Houston bats finally put four of those hits together, getting the only three runs of the game. James Byrd opened the inning with a single then, one out later, MIke Wilson and Matt Hunt both singled, and all three came in on a double by Andrew Azzopardi. 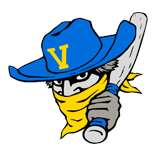 Alvarez quickly got the final two outs but the damage was done, and after KInle struck out the final three Vaqueros, the game � and spring season � was over for the two teams. Although the Apollos had already sealed the league title, the Tuesday victory was just icing on the cake, and Dunn said he was pleased with the win. �Absolutely. They played well and they came back. They did great,� he said.